Transparency is one of our core values at Joe’s Tea so we’ve created this page to openly document our green journey. 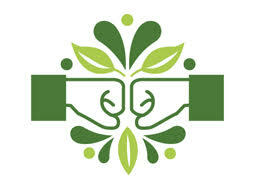 Follow us as we interrogate every aspect of our business with the goal of becoming as green as we can possible be. We’ll be keeping this page updated as we go and openly discussing the wins, the set-backs and the difficult road blocks. We’re passionate about organic farming and have only ever traded 100% organic teas and herbal infusions. Why are we so passionate about it? Because organic farming is the only way to ensure that our planet is properly looked after through agriculture for the present and the future. Our ingredients have never even had a whiff of chemicals (fertilisers, pesticides, insecticides, herbicides) and that keeps the ecosystems around the teas, herbs and spices as natural and happy as possible. Genetically modified organisms (GMOs) have had their DNA modified by humans through a process of genetic engineering. The dangers and risks of mass GMO farming to the planet is well documented and many countries have banned or restricted their use as a result. With no standardised regulations on the labelling of GMOs in packaging and ingredients means that it’s often difficult or impossible to know where they hide. We guarantee that none of our ingredients or packaging contain any GMOs. For any business, packaging, waste and compostability vs costs and resources means decisions, and these decisions that aren’t always easy to make. Our pyramid bags, strings and tags are recyclable, our boxes are made from FSC recyclable board but not compostable inks, and our inner plastic bags and our foil bags for foodservice are not recyclable. See below for how we’re working towards making our packaging fully compostable by 2020. The con-postable debate continues and after months of research, we give you the facts on tea bag packaging. Our pyramid tea bag material is food-safe polyester that is fully recyclable. Simply empty the contents onto your compost at home or in your council collected food waste, and pop the bags into your normal recycling. What are biodegradable pyramid bags made from? Biodegradable pyramid bags are made from a bioplastic called PLA (polylactic acid), which in turn is made from a starch derived from genetically modified corn, see above for our stance on GMOs. Biodegradable pyramid bags simply may be fully composted under the right conditions of heat, pressure and added enzymes. Your council (or waste contractor) must have the technology to do so, and if it doesn’t the teabags will be put into landfill or incinerated. The biodegradable bags available on the market contain starch from GMO corn crops and so we won’t (and can’t under our Soil Association organic license) use them – see above for more info. When bioplastics aren’t treated properly they can break down into dangerous microplastics creating a toxic plastic soup in our oceans. See David Attenborough’s “Blue Planet II” for the full lowdown on how terrible these are for the planet and ocean. Our organic tea and ingredients are ethically and sustainably sourced mostly from small hold farmers, always bought direct and fairly traded. The current pyramid tea bag options aren’t perfect but as a business we take a holistic approach and we’re constantly analysing our practices across the entire supply chain to promote continual improvement. The pressure is on for a manufacturer to create the perfect eco-friendly, biodegradable pyramid tea bag made without the use of GMOs and that is approved by the Soil Association, and as soon as this is available we will use it, immediately. In the meantime, keep your eyes peeled for our new loose leaf range launching very soon and check out our brew-in cups for a hassle-free loose leaf cuppa. Plastic, polyester and PLAs aren’t the absolute enemy, they have lots of benefits including using less energy to manufacture than many alternatives, keeping food fresh for longer and therefore reducing waste, costing less to transport, and they don’t shatter. We need to ensure these materials aren’t used when not necessary and are recycled so that they can be used again. Ask your council or your waste contractor what they do with your waste, recycling and compostable materials, and put pressure on them to drive change if you’re not happy with their answers. 2019 will see us switching to fully compostable inner packaging by using Natureflex, a very clever plant based alternative to plastic. We don’t believe in wasting any materials so we have some stock to use up but we’ll keep you updated as to when you can see this on a shelf near you. We already use FSC board for most of our packaging but we are making sure that every single piece of paper and card that we use to FSC. We will also start to use vegetable inks across all our packaging. This will mean that fully compostable outer packaging across the (FSC) board. Stay with us by revisiting this page to see updates and keep an eye on our social media for honest and open discussions around all of these topics (@JoesTeaCo). We will keep asking questions about all our business practices, products and materials, and we’ll continue to strive to make the best decisions for the planet and you, our customers. We will keep you updated and always be happy to answer any questions that you have about any of our products, materials or business practices. Email us at hello@joesteacompany.com if you can’t find the answer to a question on this page.